Granger constructed this 50,000 SF addition to the existing Life Science Building which was meant to support the College’s growth as a national research leader and help the state address its nursing shortage. Granger was selected early in the planning to assist with the selection of the design team and to ensure that the program was developed within the budget without sacrificing the program’s objectives. This three-story building has earned LEED (Leadership in Energy and Environmental Design) certification from the U.S. Green Building Council and is the first building on campus to use ground-source geothermal energy for heating and cooling. The first floor houses classrooms, the student commons and lounge, student services, external relations, conference rooms, an atrium and reception lounge. 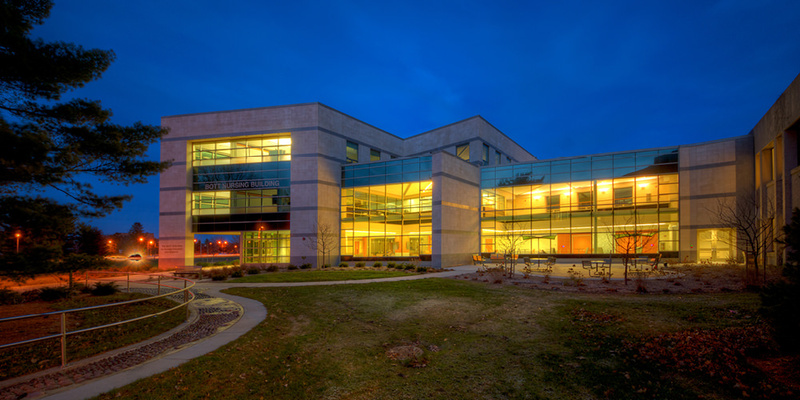 The second and third floors provide space for PhD students and College of Nursing researchers to conduct bio-behavioral research and community outreach and houses seminar rooms. The new building also houses 60 modular pods that serve as workstations for students and staff working on funded nursing research projects.